Saturday Zen. 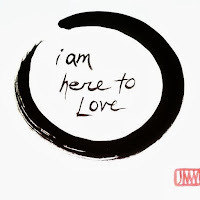 Our next Zen service is Sat Sep 9, 10:00 - 11:45am, in room 24 at Community UU, 468 Rosedale Ave, White Plains, NY. Meredith will lead the dharma discussion. Reading this week: Bernie Glassman, Infinite Circle, Chapter 2, "Being Doing," pp. 16-25. Case this week: Book of Serenity #68, "Jiashan Brandishes the Sword": CLICK HERE.